I have a lovely double room with private bathroom in a quiet road close to the Kings Road and a short walk Sloane Square tube. 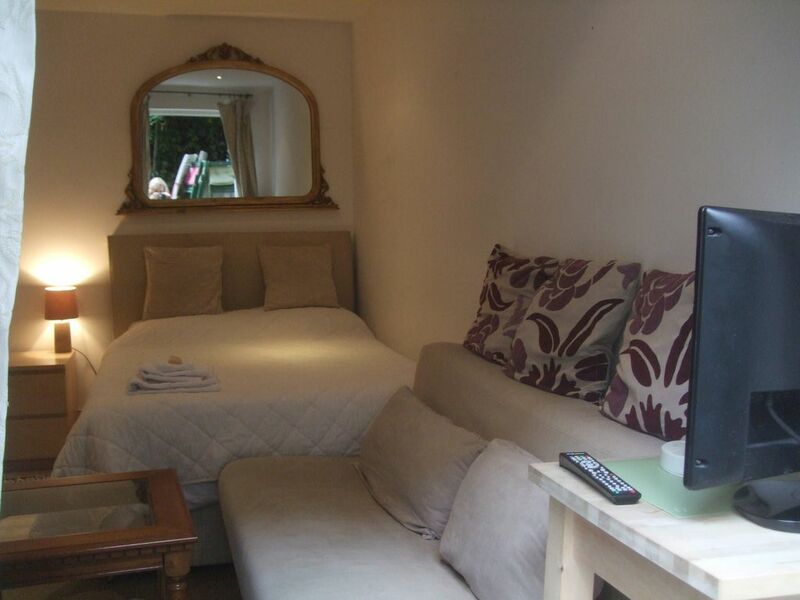 The room has TV, internet, fridge and kettle and is very clean. I provide milk and cereals, tea and coffee for breakfast and also bathroom items and anything else I think you might need. This room opens out on to a terrace, is in a quiet road off the famous Kings Road, with cafes, restaurants and shops minutes away. This is a fabulous location and I do everything I can to make my guests feel comfortable and welcome. All the attractions London has to offer are easily accessed by tube bus and walking. The famous Saatchi Gallery and Chelsea Flower Show are right on the doorstep with the museums of South Kensington, Harrods, Houses of Parliament, Big Ben, The London Eye and Buckingham Palace a short cab ride away or quickly reached by bus or tube. Sloane Square tube is five minutes walk away and is one stop Victoria Station. I have excellent reviews on a previous website. The location cannot be better. The rooms are clean and well equipped. Quiet and private but just step outside and everything there to explore and enjoy either on foot, cab, tube or bus. You are already in the centre of the best part of London.